CORONA, CA -- CIRCOR Aerospace Products Group, a CIRCOR International company (NYSE: CIR), has selected industry veteran Steve Cartolano to Vice President of Business Development and Strategy covering the North American, Asian, European and North African aerospace businesses. Cartolano will be responsible for driving the complete business development strategy for CIRCOR Aerospace. He will lead the group’s sales and marketing activities, longer term business and technology development strategies, and play a key role in supporting acquisition opportunities. He will be focused on new business capture by leveraging CIRCOR’s technical capabilities to solve complex, systems-related applications for its global customer base. 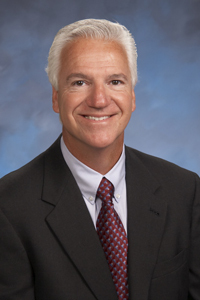 In Cartolano’s career, he has spent over 25 years with Parker Hannifin and Honeywell Aerospace. Cartolano comes to CIRCOR Aerospace from Parker Hannifin Aerospace where he was Vice President of Program Execution. He is a proven leader and brings extensive experience in executing successful worldwide opportunities. His passion for growth through close, global collaboration combined with his unique combination of OEM and aftermarket experience will continue to build upon the global relationships CIRCOR Aerospace has forged. Cartolano lived abroad on assignments in Columbia, Argentina and São Paulo, Brazil. He also holds a Bachelor of Science degree in Engineering from Arizona State University at Tempe and is Six Sigma Greenbelt certified. “We are excited to have Steve in this dynamic position with the group and look forward to his inclusive leadership to reach our overall business growth targets,” commented CIRCOR Aerospace Products Group Vice President Michael Dill.